Clarence was just a muddy pickup. One day there was a big storm, and lightning zapped the car wash. Now Clarence has a secret: Water turns him into MIGHTY TRUCK! Clarence decides to join his neighbor, Mr. Dent, and his cat, Throttle, for a warm day of surfing waves at the beach. But Throttle gets into some gnarly water after Clarence learns that Throttle can't swim. Mr. Dent needs Clarence's help to rescue his cat! 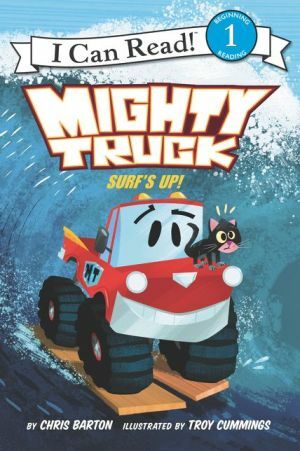 Can Mighty Truck save the day?